गोकु super saiyan 5 (uncontrolled). this pic was made द्वारा Prydzanimation on deviantart, all credit gose to him. 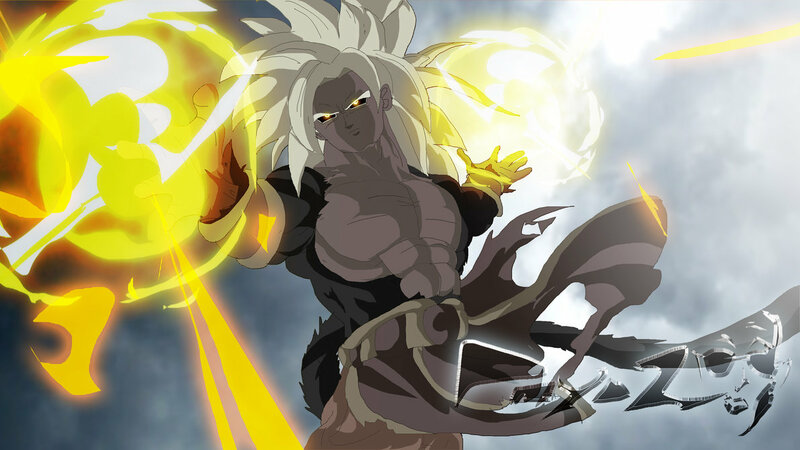 anyway this is ssj5 गोकु from dragonball absalon.. HD Wallpaper and background images in the ड्रेगन बॉल ज़ी club tagged: dragon ball absalon goku anime. this pic was made द्वारा Prydzanimation on deviantart, all credit gose to him. anyway this is ssj5 गोकु from dragonball absalon. This ड्रेगन बॉल ज़ी photo contains गुलदस्ता, कंचुकी, कहावत, फूलों का गुच्छ, चोली, पॉसी, नाकगेय, ब्रोच, and nosegay. There might also be hippeastrum, hippeastrum puniceum, हिपपेस्ट्रम, हिपपेस्ट्राम पाइनिसियम, चाय, camelia, कैमेलिया, कैमियािया, कमीलया, जापानी खूबानी, मेई, आलू mume, प्रुनस म्यूम, and जापानी खुबानी.